Pneumatic equipment such as chillers with evolved energy-saving technology, delivered from Ayutthaya, Thailand. Japanese quality combined with Thai production became a reality! 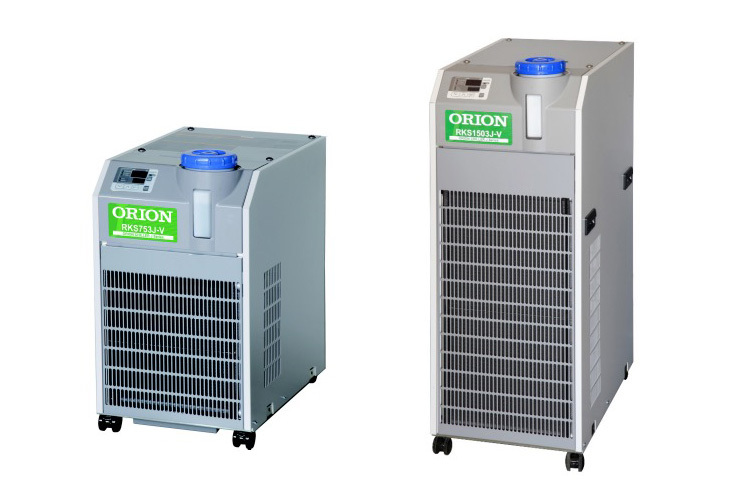 Orion chiller, the World standard. "Orion Machinery Co., Ltd." which has supported Japan's rapid growth in the field of dairy farming and industrial machinery, which produced the first made in Japan "milking machine (1957)" and also the first Japan made "dry pump" development. Today, we respond to various needs both in Japan and overseas with state-of-the-art technology such as our "dryer", "chiller", "precision air conditioning equipment" ,"vacuum pump" and "dehumidifying dryer". In Asia, we have established bases in China, Taiwan, South Korea, India, and Thailand and have expanded our business. 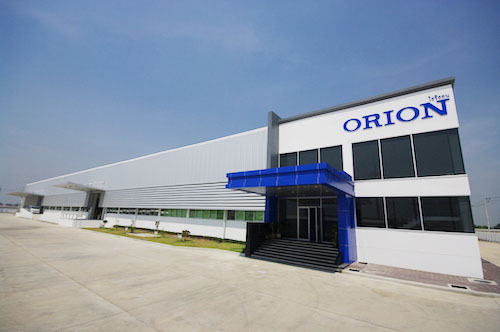 In Thailand, we established "Orion Machinery Asia" in 2011, we opened a factory in Ayutthaya's Rojana Industrial Park in 2013. There we produce and sell pneumatic equipment, such as the "air dryer" and "air filter", those are essential for a factory installing air compressors. Also since November 2016, we started production and sales of the Thai-made chillers (cooling water circulation equipment) "AKL" series. 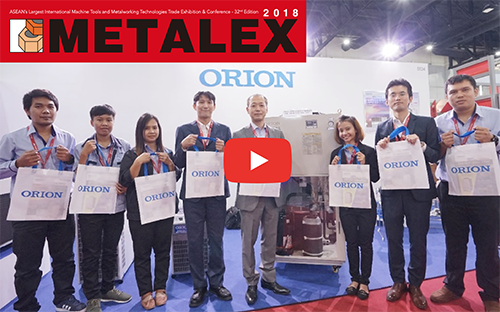 Previously, we sold only Japanese-made chillers with sales performance of more than 200,000 units in the world, but we combined the local parts which passed the quality inspections in Japan and reduced the cost significantly with those Thailand-produced chillers and added to our product lineup. Our customers are now able to select products from a wider range of options. First, "Japanese quality manufacturing". The company's Thai employees are trained and acquire qualifications and curriculum in Japan under the guidance of the Japanese people. 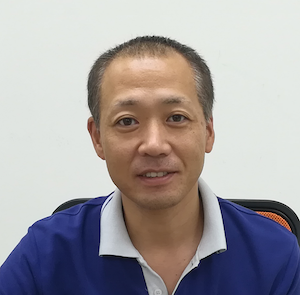 It enables them to maintain a high quality since they have developed technology in Japan and improved their technical capabilities. Products with less trouble, longer life, and energy savings contributions are highly valued by Japanese companies. Second, Japanese machine designers are stationed in the factory. They respond quickly to the design changes on site, and this quick correspondence is a big advantage over our competitors. And the third is fulfilling our "service system" by an authorized agent "Siam Precision (established in 2013)". "Siriwatto Corporation 1976" which has been selling Orion products for over 30 years has established this company to sell Orion products with the establishment of "Orion Machinery Asia". Therefore, this company is well versed in product knowledge, and responds to customers quickly, such as when replacing parts. The capabilities of these two companies have made it possible to minimize the impact on customers' production lines. 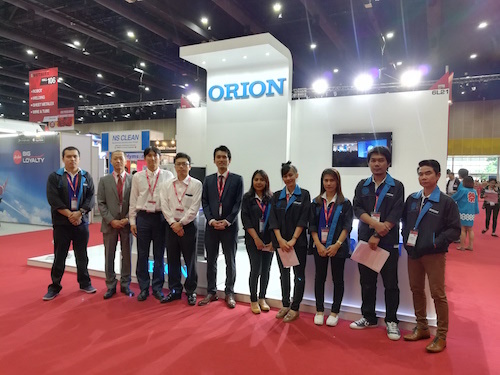 Orion Machinery Asia, which is expected as a company in the "hub of ASEAN", is committed to further increasing customer satisfaction in Thailand by making full use of these "three strengths". 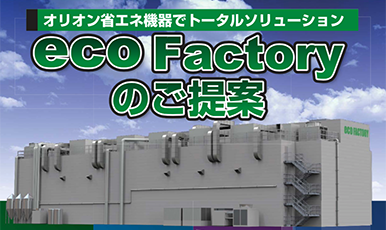 Apply environmental and energy-saving measures by “eco Factory” proposed by Orion Machinery Asia! Performance and quality exemplified by our many achievements!